Sony has filed a patent application for "feature eroding videogame demonstration software," a new type of game demo that starts players with the complete package but then gradually takes features away over time. Game demos are a tricky business. Potential audiences need a healthy taste of what's in store, but there needs to be some kind of incentive to actually buy the game, too. Developers have to consider what to include, what to change and what to leave out entirely in the never-ending quest for that "leave 'em wanting more" sweet spot. But Sony appears to be working on a different kind of approach to the demo: Give players absolutely everything and then take it away from them, a little bit at a time. A new patent filing by Sony describes a demo distribution method in which games are released in their entirety and then, by way of various "trigger metrics," gradually disabled through the removal of levels, items, abilities and other game features. 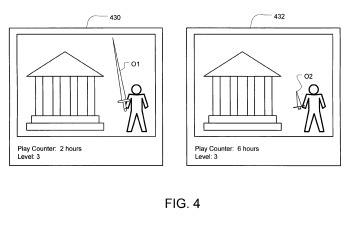 A demo that makes use of the technology "permits a more complete game experience while promoting a desire to acquire permission to continue playing," the patent application says. "While a user may initially experience most or all of the full version of the game in a demonstration mode, the mode implements trigger metrics to erode game play characteristics, such as character, object, event and/or environmental features, during game play in the demonstration mode," it continues. "As the gamer loses functionality, the user may be prompted with the trigger metrics to purchase permission to continue the game in a non-demonstration mode that disables the trigger metrics and returns the game to the more complete version." As an example, Sony suggests that the top speed of cars in racing games could be reduced over the course of successive gaming sessions, or that the "finish event" of a race could be disabled, allowing the player to drive the track indefinitely but be unable to complete an actual race. It's an interesting idea with one glaring flaw: How to keep people from re-enabling the "eroded" game features on their own. It seems to me that unless the piracy issue can be resolved, passing around a fully-functional version of a videogame, trigger metrics or not, is just asking for trouble.